How can you go from being an ex-government employee and expat partner to become a serial entrepreneur and founding 3 start-ups? Listen to the inspiring interview with Andrea Martins that we wanted to bring back to you. This episode was recorded at the very start of Tandem Nomads podcast show but is still so valuable and worth listening to again! 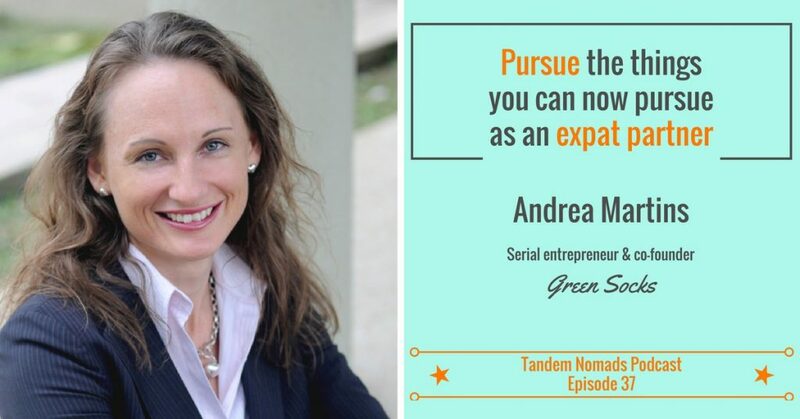 Andrea is a self-professed ‘start-up addict’ and founded and c0-founded 3 startups: ExpatWomen.com, Story Résumés, and now GreenSocks. Coming from Australia, Andrea gave up her head-office government career to follow her husband abroad. Over the span of 10 years, she lived in Indonesia, Mexico, and Malaysia. Today she is back to Australia. Throughout her international relocations, she started a fascinating serial entrepreneurial journey. Andrea’s first venture, expatwomen.com serves expat women around the world. 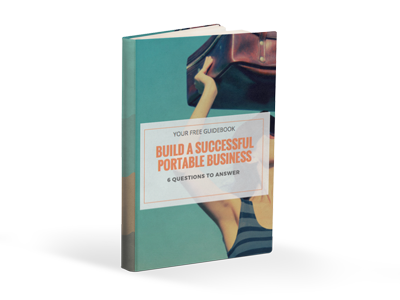 It grew to such incredible success that she sold it in a 6-figure deal with an investor. After this achievement, it was a surprise that she had issues finding a job once she landed back home. This situation led her to create Story Résumés, an online service designed to help job seekers get noticed with infographics and illustrated résumés. Most recently, she co-founded a third company, GreenSocks, which is an Uber-like service for lawn maintenance and gardening.